Full Tilt’s win of The Grand National Grouse Championship is the highest competitive coverdog accomplishment. We are thrilled with this win and want to especially thank pro Dave Hughes and his assistant Ryan Frame. Dave has helped us develop our dogs for more than twenty years. He is “The King of the Woods”. Other all-age coverdogs sired by Pennstar are winning in Championships and Classics this fall, proving that Pennstar progeny are readily finished, often by amateurs, and can find wild birds no matter what part of the country they are hunting in. Full Tilt, Pennstar daughter, named Winner of The Grand National Grouse Championship, 11/7/09. 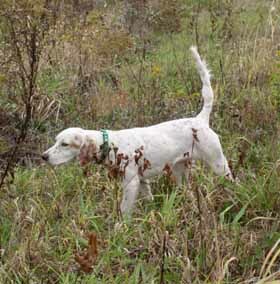 Wintergreen Cody, Pennstar son, is named Runner-Up Champion at the Wisconsin Grouse Championship, 10/09. Hummer, Jim Humphrey’s Pennstar male, named Runner-up in the Rich Tuttle All-Age Classic, 11/15/09. Ghost Train Whirlwind, Pennstar female, repeats as Winner of the Fruchey Grouse Classic. 10/09. Jumpstart scores her first shooting dog win at the DuBois-Beaver Meadow trials. Pennstar (30-55-270) is retired. In excellent health, he is available at stud. 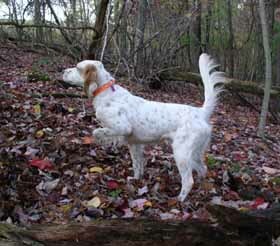 Pennstar topped off his career by winning the Pennsylvania Grouse Championship besting 82 dogs, October 26, 2007. This is Pennstar’s 5th wild bird title. Pennstar has now produced 60 winners who have accumulated over 301 wins. First Option and Quixstar, both multiple winners, are now retired. Full Tilt is the Winner of The Grand National Grouse Championship for 2009. 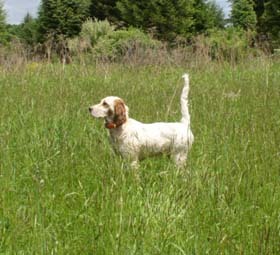 This daughter of Pennstar bested a field of over 73 of the top cover dogs by sizzling the hour course at Marienville, PA, and pointing a group of five grouse with thrilling style. This was not a win by default as the star-studded field had 28 dogs who pointed grouse or woodcock. “Callie” fulfilled the promise of her win of the 2006 Flanagan Award (Cover Dog Derby of the Year). Callie’s running class, drive and bird finding epitomizes the goal we have strived for 30 years to achieve. Dave Hughes did a masterful job of preparing Callie and handling her to this win. Sparq, not yet 2 years old, continued to win in limited campaigning when she bested a strong field at the West Branch Open Derby, 3/10. “Diamond”, our Pennstar daughter, ran a searching forward race. In the heavy cover, she separated herself as really determined to hunt. At the finish she was a handful to bring to the pickup. At 42 days pregnant, “Diamond’s drive and speed were impressive (this is the first really pregnant dog we have run). We didn’t start her after this and about three weeks later she whelped a nice litter of six pups sired by Bold Move. The PA Grouse Championship is a top-tier event. Winning the PA, or getting any piece of it, is a giant accomplishment for any dog. 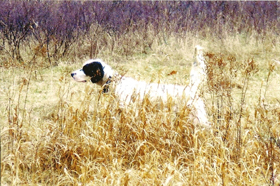 Call Me Kate, female, sired by North Star (deceased son of Pennstar) continued to impress as dog worthy of this high recognition when she was named Runner-Up in the PA Grouse Championship (11/09). Craig Merlington, her owner, handler Kate and Craig has done virtually all the work to bring this impressive young dog to compete, with distinction, at the highest level. We will be hearing more from this team. While Pennstar is just one of the grandparents of Kate, and other quality dogs are certainly contributing to her genetic ability, Kate’s big win is proof that Pennstar dogs can produce dogs who’ll compete successfully with the best. Mickey Fancher handled his Pennstar male, Wintergreen Cody, to Runner-Up Champion honors at this year’s Wisconsin Grouse Championship. Last year he handled Cody’s brother, Wintergreen Max, to the Championship title at this same event. Max earlier won the Flanagan Award. As an amateur, Mickey has done a fantastic job in developing these two young Pennstar performers. Hummer continued his winning ways by capturing Runner-Up honors at the Rich Tuttle All-Age Classic. He successfully handled a grouse on day one of the multi-day stake sponsored by the Venango Grouse Trial Club and held at Marienville, PA. The Foreman brothers are the trainers and handlers of Hummer for Kentuckian, Jim Humphrey. Hummer won consistently last year as a derby on the grouse circuit and in his first season as an all-age this win shows his steady development on wild birds and it’s a big step forward in his career. Ghost Train Whirlwind named Winner, The Fruchey Classic, Again. 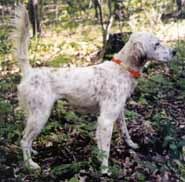 Tom Fruchey handled his Pennstar female to the Classic title in a large field of the top coverdogs in the nation. This Michigan located stake, named for the Fruchey family who have had four generations of their family train and compete grouse dogs, is a sought after title. For almost every year of the forty plus years of the Classic’s running, a Fruchey has had an entry in this event, It was not until 2008 that the event was won by a Fruchey family member, as Tom Fruchey guided Whirlwind to the winner’s circle. The win again this year adds distinction not only to the Fruchey legacy but to Whirlwind’s ability. Decades of dedication to the sport, both competing and managing grouse trials, have been rewarded with a number of championships but this win was something special and meaningful–Again. Whirlwind is sired by Pennstar and it makes us happy to have played a small part in this accomplishment by Tom which the whole family shares in. 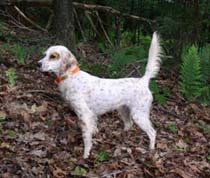 Star’s Misty Willow, Pete Casgrain’s female sired by Pennstar, was named runner-up Michigan All-Age Grouse Dog of the Year. Willow had a fantastic year in the ’08-’09 trial season racking up grouse finds at such a pace that she has become a widely recognized example of a bird dog with the skill of finding and pointing grouse. This award adds an exclamation point to a dream season for Willow and Pete. Jumpstart, daughter of Pennstar ex Grouse River Jessie, has come into the ownership of Mike Spotts of Bloomsburg, PA. Mike guided “Woodie” to her first shooting dog win at the DuBois–Beaver Meadows fall trial. In that same event, he put the first win on Jumpstart’s six-month old daughter, Spitfire, sired by Bold Move. Pennstar, now 9 years of age, is retired from field trial competition following his fifth wild bird championship win at the PA Grouse Championship (81 entrants). 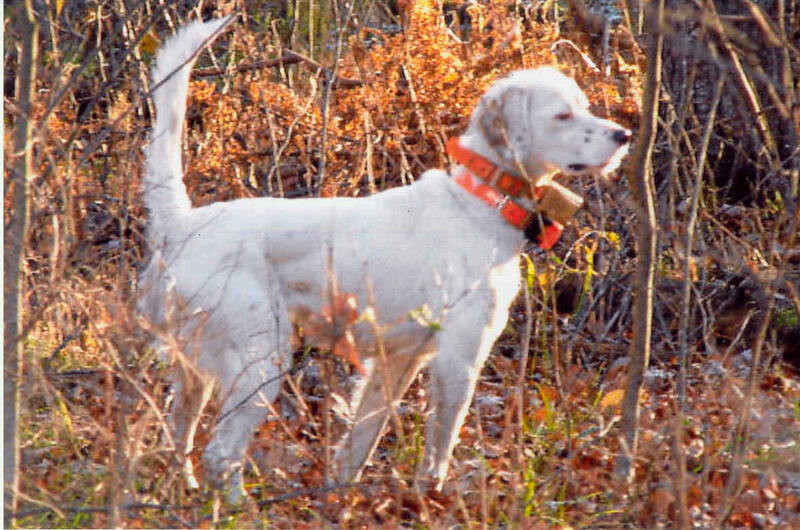 With this win, Rock joined an elite group of cover dogs, as very few setters or pointers have reached the milestone of five championships on wild birds in the 100+ year history of cover dog events. Rock’s record, 30-60-301 attests to the ability of his offspring and are a tribute to him and the generations of breeding in which we and others have thoughtfully invested. Now that he has sired the Winner of The Grand National Grouse Championship, his prowess as an historic sire is secure. We are grateful that we’ve been given such a good dog to campaign and use to breed. Pennstar is in excellent health and he continues to be available at stud. Bold Move, younger brother of Grand National Grouse Champion Full Tilt, is being campaigned by pro Dave Hughes this fall. He has made some strong bids in the northeastern grouse championships. Offspring from “Fire’s” first litter are winning at an early age and showing the class, drive and bird sense of their sire. Our team has great confidence in Bold Move’s ability and recommend him as a sire that can produce dogs to compete at the top. First Option, Pennstar’s sister, has been retired. “Anndee” has had a fine career that includes winning the Grand National Grouse Puppy Classic against 56 entrants. She was runner-up in the Flanagan Award competition for the top cover dog derby and went on to win five firsts in all-age grouse trials. “Anndee” lives with my hunting buddy, Jim Smythe, of Lititz, PA.
Quixstar is retired. 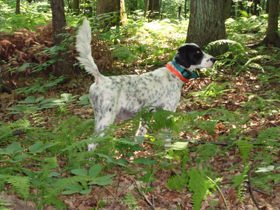 One of the classiest females we have owned both on the ground an on point, Riggs is an excellent wild bird finder. On a hunting and training trip to North Dakota in September Riggs was a star at handling huns, prairie chickens and pheasants. Most all her finds were steady to wing and shot and she showed the range and drive that she demonstrated as a young dog in our string. 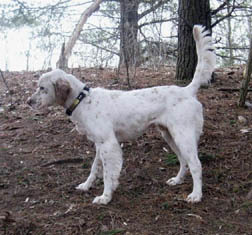 Riggs now lives with my hunting pal, Jim Smythe of Lititz, PA. Her six month old daughter by Keystone Red Rage recently won the Nittany Valley Open Puppy and was 3rd in the West Branch Open Derby in September,09. 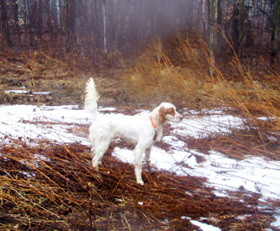 The 2010 spring cover dog season kicked off this past weekend with the West Branch trial. Five of the winners of this trial, including the 1st and 2nd Open All-Age and the 1st place Open Derby are dog are dogs we bred and/or own. On this good look forward to the new season but also reflect on some nice wins dogs who trace their origins back to our kennel have had in the first half of this field trial year. The 2009 fall cover dog trial season is near a close. Dogs who trace their origins back to our kennels have had some outstanding accomplishments in the major grouse events on the circuit.